Here we have Cops 'n' Robbers Deluxe on the Scorp 1 tech. 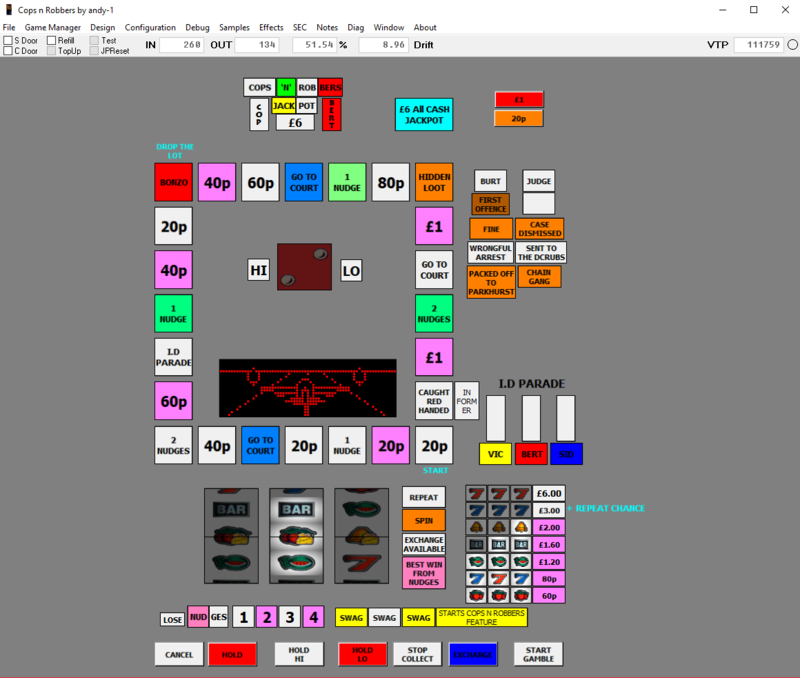 This is set on 10p play £6 Cash Jackpot, I have now added the £6 Token version to the download section. Turned out there was a few checkboxes missing causing it to block at £3. This has been on my and I think a few other members FME most wanted list. I wanted to play this from when I found FME, this is the rebuild version (or Red Version) as it is other wise known and IMO is the better one. This is a machine I have played in many arcades and would always be the first machine I went to. Wizard for his amazing emulator and getting this running. Shortcuts are in the notes. Edited to add the £6 token version. Nice one,thanks for the layout. Thank you for a great looking layout.